Wat is dit voor site? Wij zoeken de goedkoopste boeken op internet. 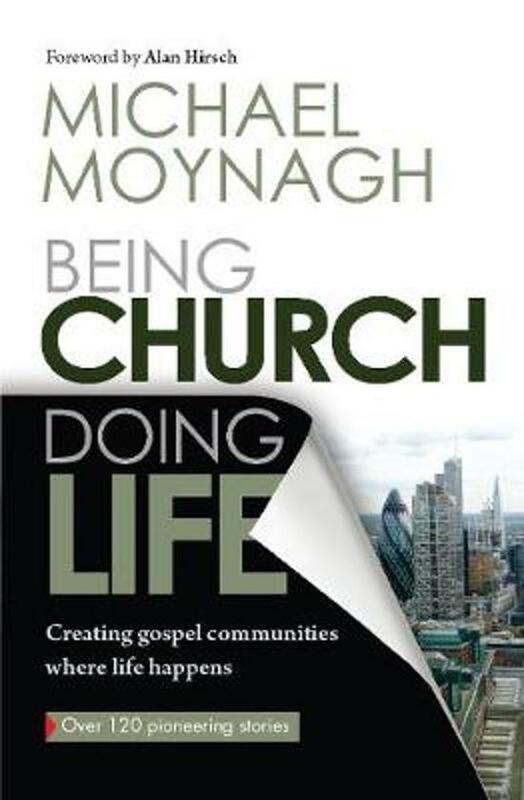 Being Church, Doing Lifevonden we het goedkoopst op Bol.com voor €12.99. We hebben gezocht in nieuwe en tweedehands boeken. Rechtsonderaan de pagina kan je het boek direct bestellen	via Bol	.com. Evidence now suggests that contextual church plants have an important role to play in church growth. There is an increasing international interest in these new and different forms of church, often known as "fresh expressions' or "emerging church'. Author Michael Moynagh is a member of the UK national Fresh Expressions movement, a remarkable initiative that has attracted widespread attention around the world. In this inspiring volume he shares practical and comprehensive advice on how to start and grow new churches however small in every context of life. This popular introduction emphasizes practical aspects, telling many of the great stories that have emerged through practitioners. It will enthuse and help church leaders and individuals to start and develop these communities; and advise them on how to help them grow to maturity and become sustainable.